Unlike in previous years, this year's tour disc was concurrently made available at their 2007 live shows and via the internet. Included are some of the most demanded tracks from previous year's discs, as well as several new songs. "I'm In Love Again" was originally released on their first Columbia LP, "Before And After". "When Your Love Has Gone" makes its first appearance via extremely popular demand. The surprise of this year's disc is a gorgeous instrumental performance of "Purple Haze", dedicated to Tyler Shelly. Remixed this year are "September In The Rain" and "Rest In Peace", with the rest of the CD repeating material from past editions. Like its predecessors, this disc is not a pressed CD, but rather a CDR printed to demand as a souvenir of the year's concerts. It is packaged in a slimline case like a CD single. 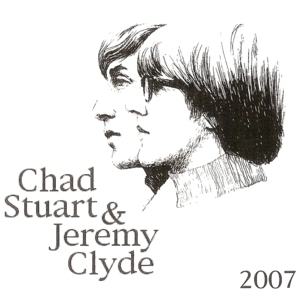 This CD-R was available at Chad & Jeremy's 2007 concerts and throughout 2007 on Electric Paintbox online. It is no longer available, although several of these tracks were re-worked and re-recorded for the ARK-eology album and can be heard in their final form on that CD.